Recently I teamed up with Sunsweet Prunes to show you how to add this amazing fruit into your diet. 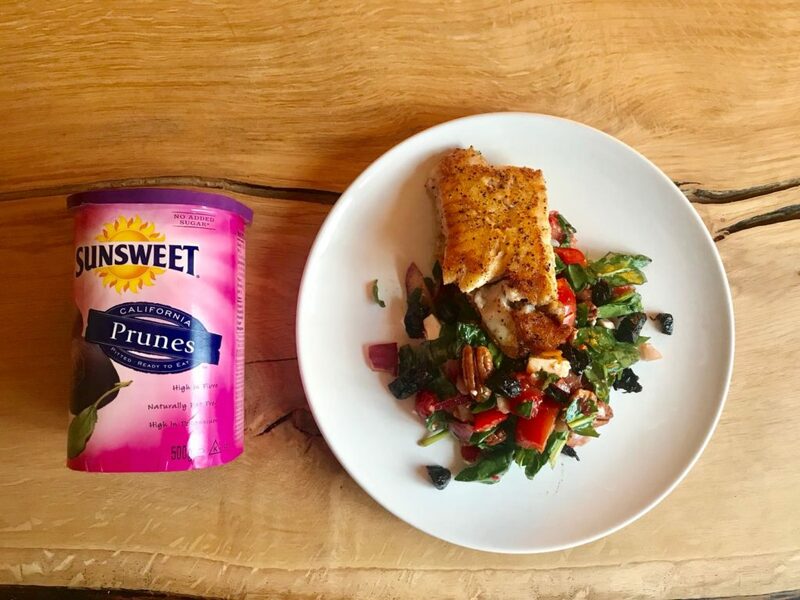 To be honest I was amazed at how versatile prunes are to add to recipes both sweet and savoury. It made it really easy to come up with ideas on how to add them into my diet. 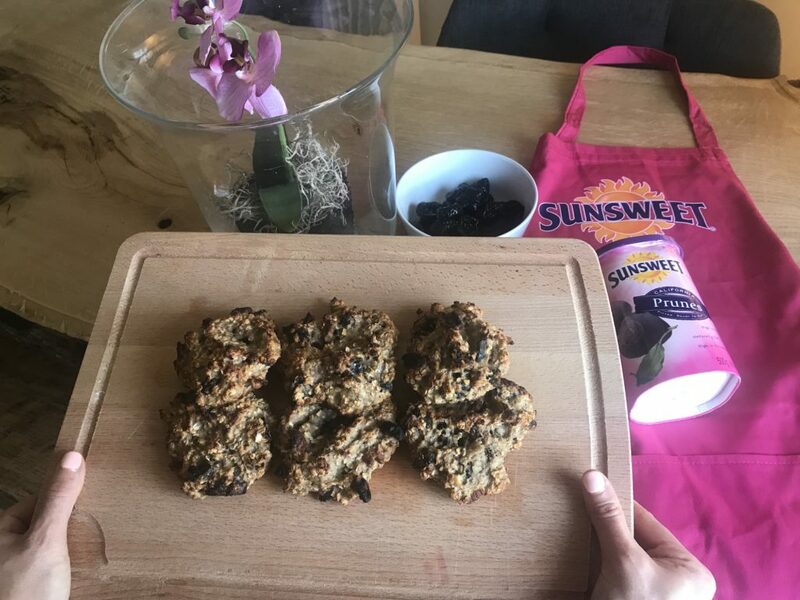 As well as being versatile Sunsweet Prunes are also packed full of Vitamin K and Potassium, they’re fat-free and salt-free and loaded with fibre. That’s a whole lot of goodness in one little bite! I wanted to come up with three totally different ideas that would serve as meals and snacks. The Breakfast Bakes were first up and delicious with some nut butter. 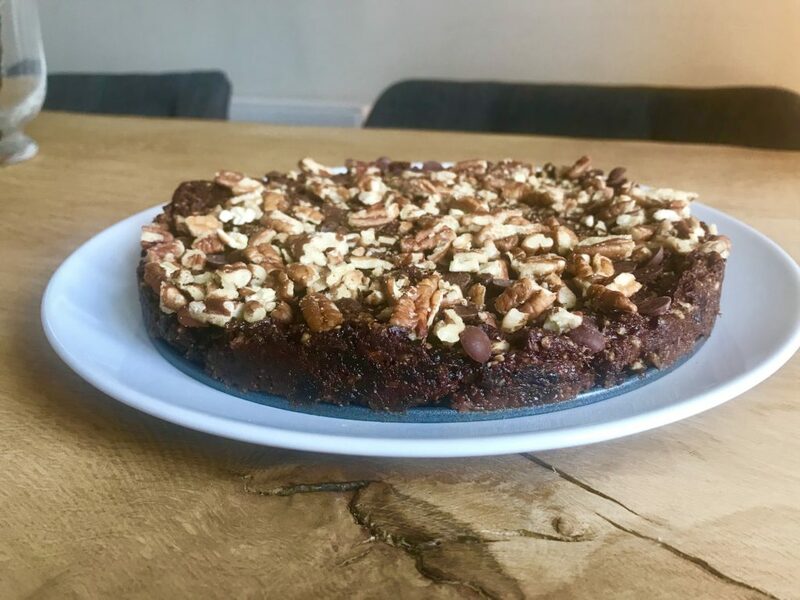 The Fruity Prune Brownies were the perfect snack on the go with a cuppa and the Summer Salad served as the perfect dinner especially through the good weather we’ve been having. 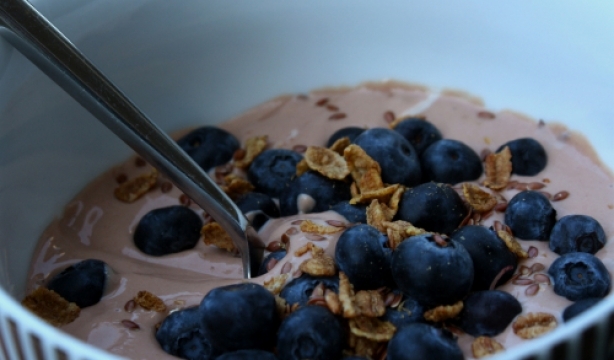 Incase you missed any of them – here are my three healthy recipes for summer. Mix up dressing in a separate cup. Toss dressing over the salad until fully coated. Serve with a protein of your choice – I opted for pan-fried hake! Sprinkle the top with desiccated coconut and some crushed pecans! I also added some cheeky chocolate chips! Mash bananas in a large bowl and add egg, salt, vanilla essence and sweetener. Add chopped nuts and chopped Sunsweet prunes. Mix in oats and make sure mixture is well blended. Spoon out small or medium-sized bakes on to tray. Remove and allow to cool on wire tray. 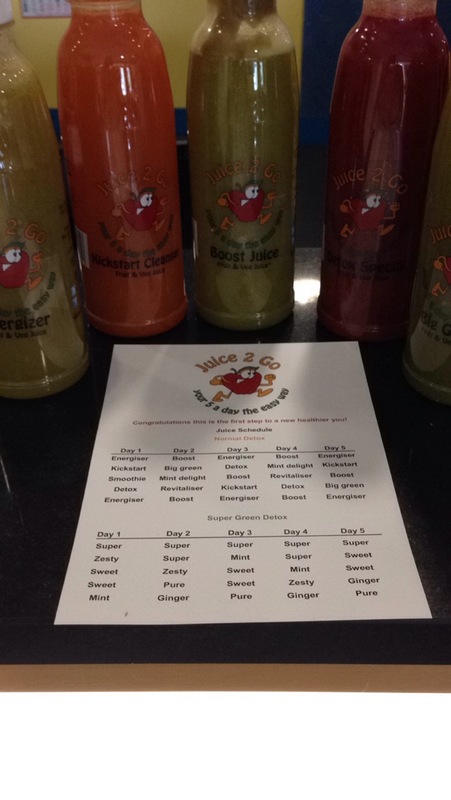 Delicious smothered in a nut butter of your choice for breakfast on the go!